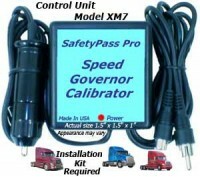 SafetyPass Pro XM7AC Metripack Adapter Cable - Fits Most 2002-2016 Class 8 trucks. For use with Main Cable (XM7MC). 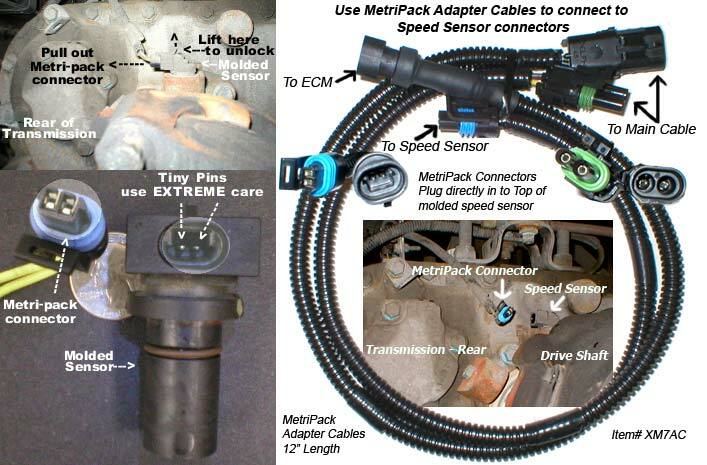 Plugs into vehicle speed sensor using Metri-Pack 150.2 connectors. 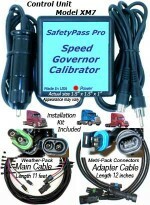 By far, the most popular connector used on big rigs. For use on most newer trucks built after 2002 including Freightliner, Kenworth, Peterbilt, Sterling, Western Star, Volvo, International and others. Australia manufactured Kenworth trucks have used the Weatherpack style Connectors through 2010. 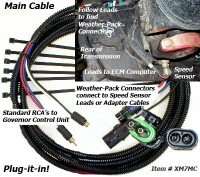 This adapter cable is included with standard installation kit (XM7IK). 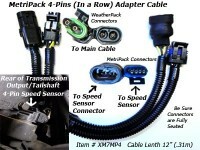 Metripack Adapter Cable Length: 12 inches, 0.3 meters. is 67. I'm very happy with that, it paid for itself on the first trip. Disconnect's just as quick from truck as did hook up. I recommend it! Click the button below to add the MetriPack Adapter XM7AC to your wish list.